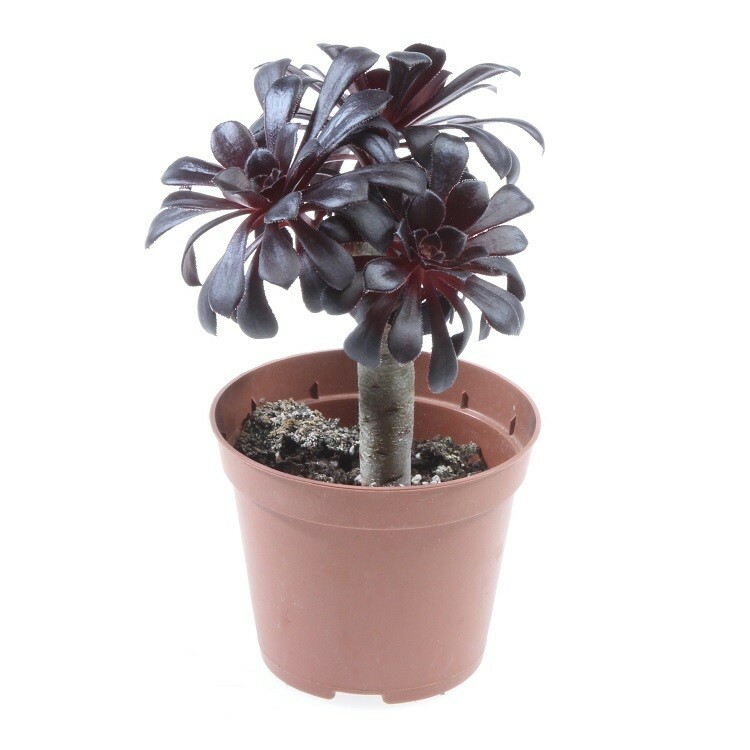 Aeonium 'Zwartkop' is a branching shrub that produces magnificent, almost black-purple, succulent, leaf rosettes at the ends of its branches. Aeoniums are natives of Maderia, the Canary Islands and North Africa, climates that do not experience sub-zero temperatures. 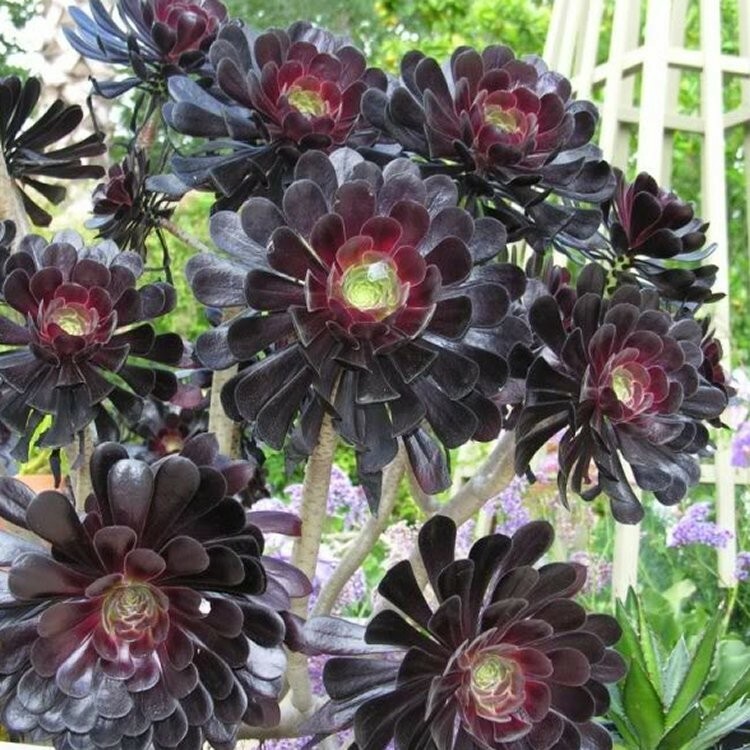 Consequently plants will need protection in the UK during winter, that said Aeoniums make excellent summer bedding plants since their architectural shape contrasts well with most other bedding plants. They can also be used effectively planted in containers. Water plants sparingly, especially in winter, because they are adapted to dry conditions, their succulent leaves store water for the plant to use during dry periods. Supplied as potted plants, complete with a white display pot at around 10-15cms tall, ready to grow on and enjoy.